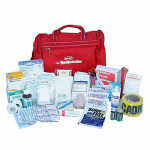 Deluxe Trauma Kit - 303 Pieces in this large Soft Sided carry bag - First Responders love this kit for its content! 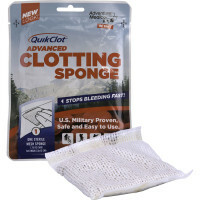 This First Aid trauma medical kits are assembled especially for use by those trained in rescue of injured victims. Great for offices and other large groups. (1) Paramedic Utility Shears 7 1/4"
(4) Splint Small 12" X 6"
(2) Triangular Bandage 36" x 36" x 52"
(6) Hand And Wrist Splint 12" X 8 1/2"
Deluxe Trauma Kit - 303 Pieces - soft side - 145225.